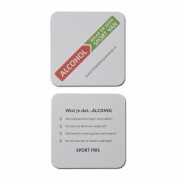 Beer mats are a must in the gastronomy, event and party business. Using your own customized design, these coasters are not only an attractive table accent but also an ideal advertising medium. Promote youself on this stylish, stable and especially absorbent original. 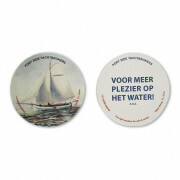 We can print virtually any design onto our beer mats. On the front and back of the mat, ensuring that you get the maximum exposure.